Every once in a while I come across a product that makes me think: ” why didn’t I ever think of this”. The Sweet Pikle is one of those ingenious products that makes you ask yourself that question. Most of you know that as a Mom you can find yourself carrying around 20 different things for “any situation” around in your purse. 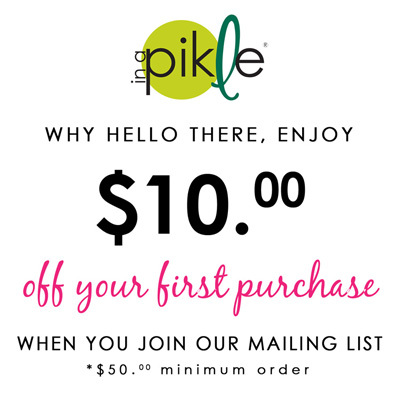 The Sweet Pikle takes care of all of that for you, and includes such a pretty wrapping!I have only had my Sweet Pikle for a week and I have already used it twice. Once for my youngest son Preston at the Baseball field and another when I was able to help someone else out with a item from my Pikle. I love how easy it is to have all those little things inside one easy to carry item. I love the organization of the Pikle as well. The clear dividers make it really easy to find what you need in a hurry.